MOMO offeres everything you need to install and mount your MOMO Racing Seats. Aluminum Side Mounts – Lightweight Aluminum side mounts. 5mm thick. FIA Approved. 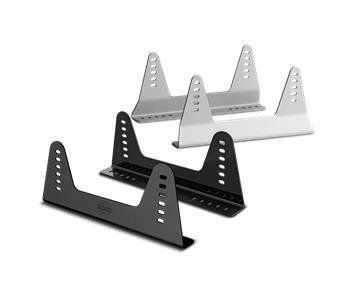 Steel Side Mounts – Steel side mounts. 3mm thick. FIA Approved. Seat Adapters – Adapters for 406mm Bases. Not FIA Approved.